Simply Brown, what can brown do for you? Everything! 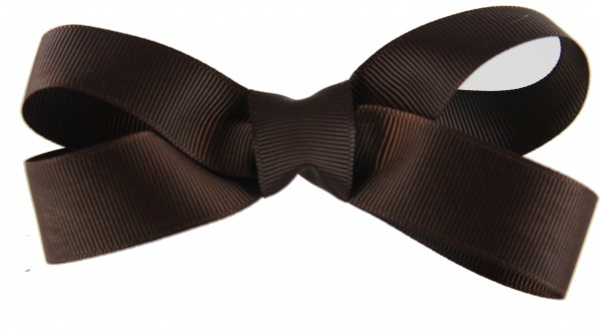 This chocolate brown boutique style hair bow is the simple brown bow you must have. This bow can stand alone or it can be the base bow for my 411 smaller topper series. The center is flat so you can just slide the toppers on and off very easily, therefore changing the simple brown into many pink and brown lethal combinations. This will help you to look like you have many different bows without paying the price.